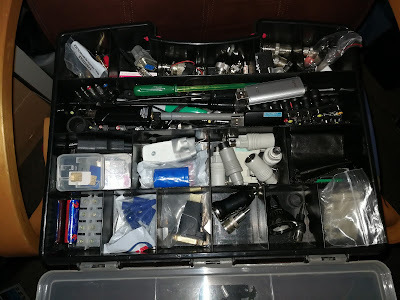 Here a few things which I've been using for years, I must have had them all for over 10 years now. 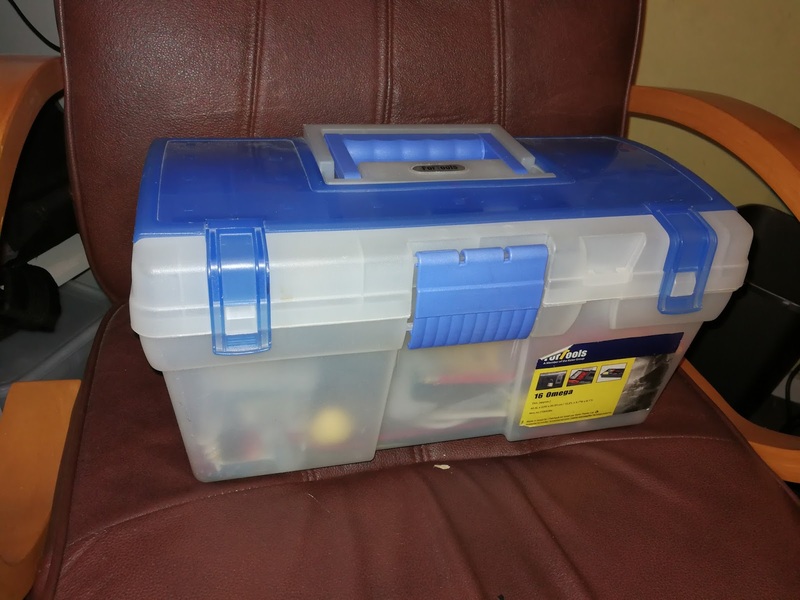 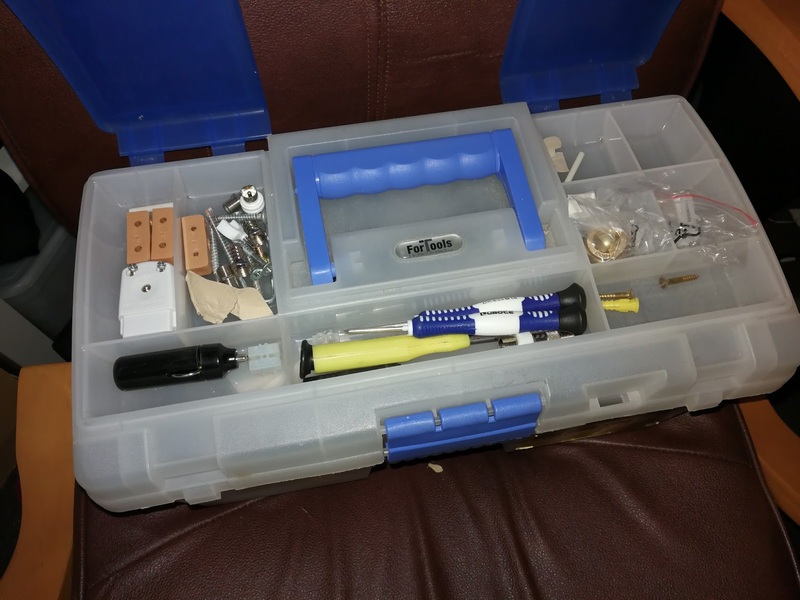 Tool Box - probably a Christmas present, like most of the stuff here. I don't think I've ever completely emptied it since new. 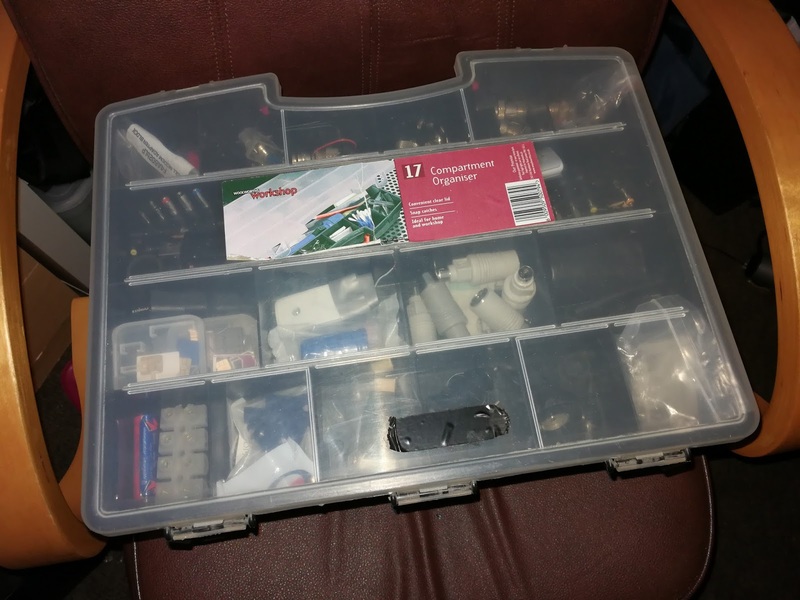 Connectors Box - this is where I keep any adaptors, other connectors, memory cards etc. 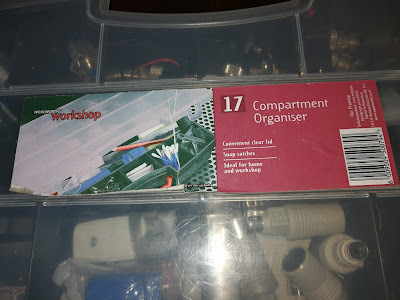 Spot the AT to PS/2 keyboard adaptors which even I've got to admit are just wasting space in there but have I ever emptied this since I got it in about 2002? Probably not. 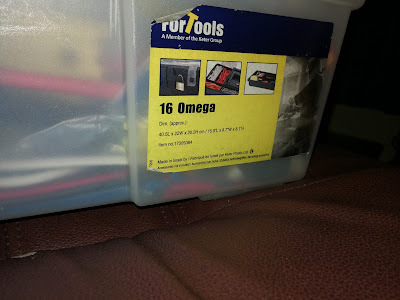 From Woolworths, so that dates it a bit. 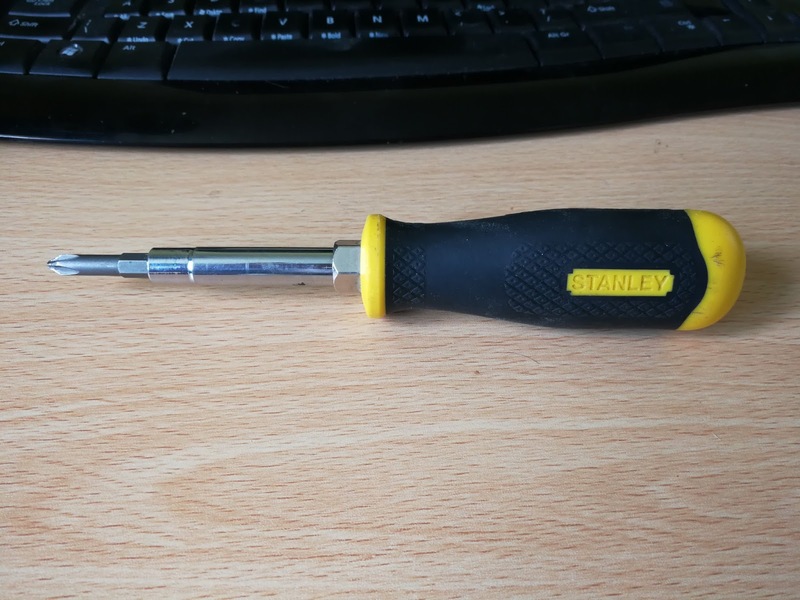 6-way Screwdriver. 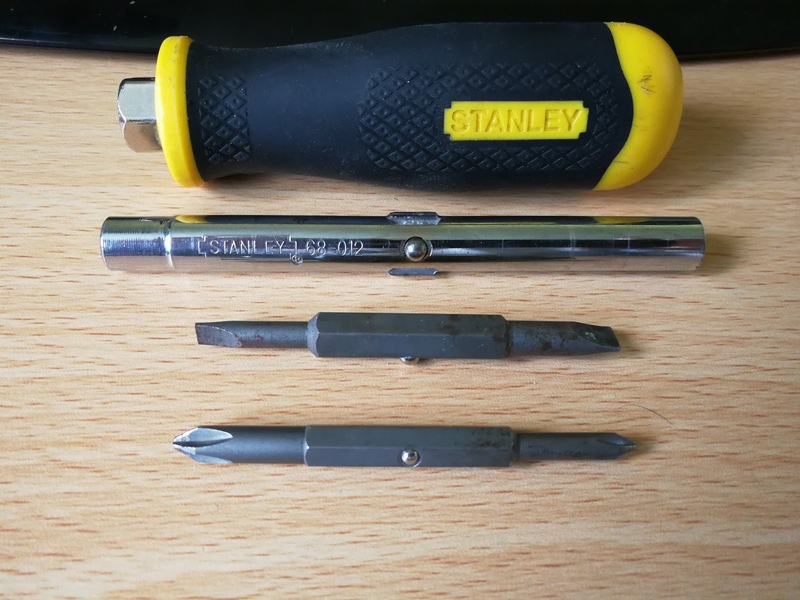 Stanley 68-012. 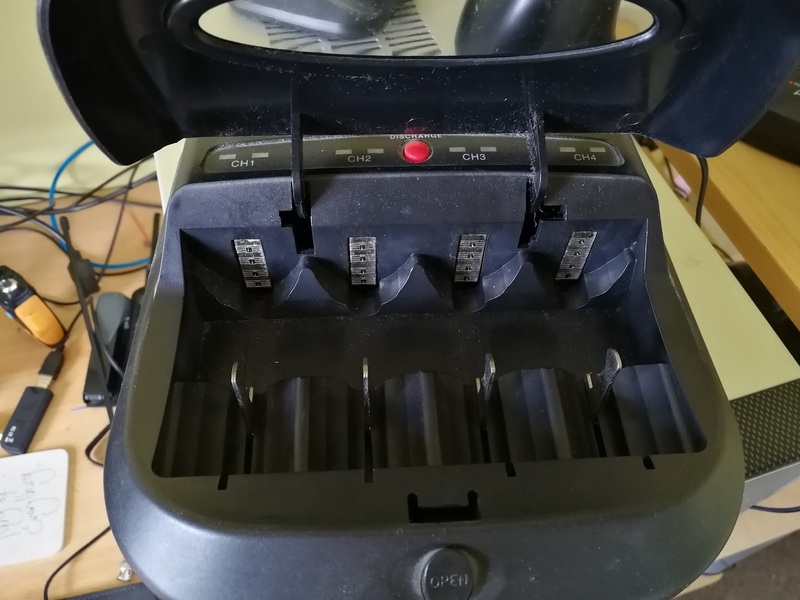 Until today, I hadn't realised it was 6-way. The shaft of the screwdriver will fit two different sizes of nut. Good enough for nearly anything you would normally use a screwdriver for, except small terminals or anything where there might be live connections nearby. 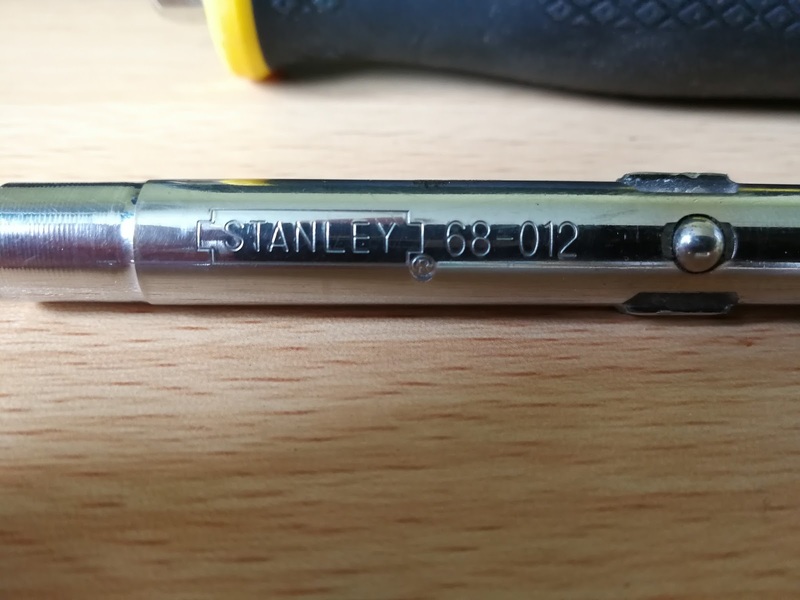 Apparently the new model is worse, so this may be becoming something of a classic. 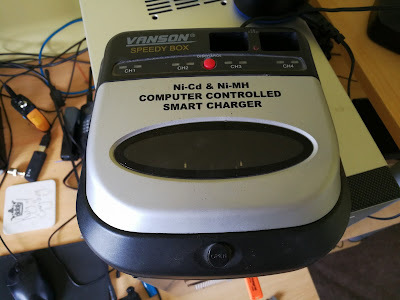 Charger - Vanson Speedy Box. It's not the fastest charger but I got it from Maplin at the time when the higher capacity Ni-MH cells (1800mAh+ for AAs) were quite a new thing. 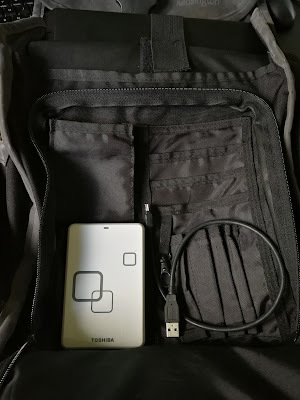 It also discharges cells. 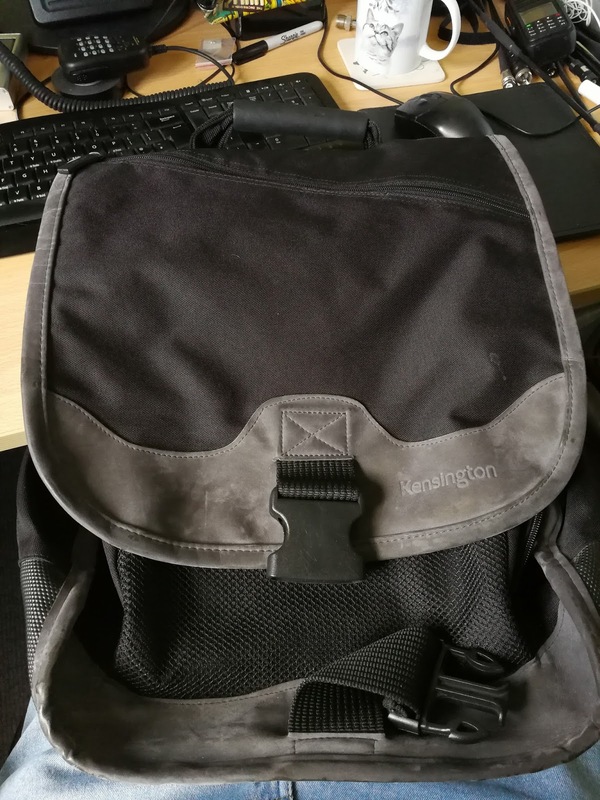 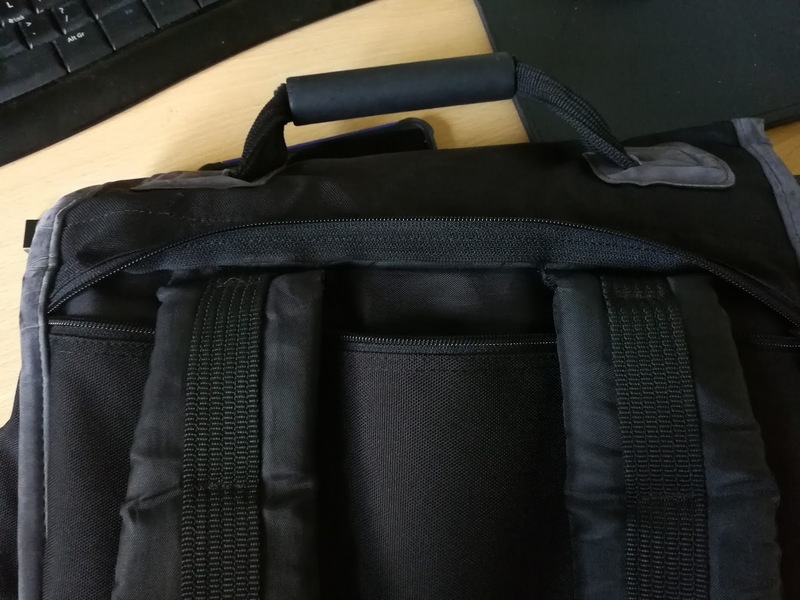 Laptop Bag - By Kensington, from Ebuyer when I got my first laptop in 2005 (and used for another 4 after that). 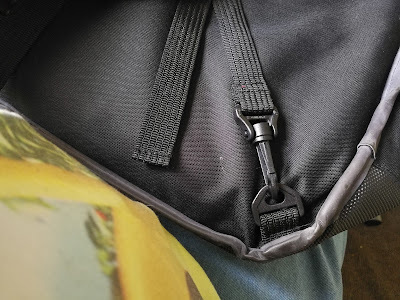 It's a backpack but the straps can be hidden away and can be turned into an over the shoulder bag (but I think I've lost the strap for that without ever trying it). 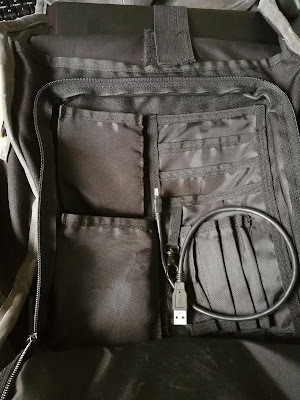 With 16:9 displays, the basic 15" screen laptop has got wider and you can see mine hardly fits in the bag now (it was bought for a 15" 4:3 ratio screen model). That's a 640GB Toshiba USB HDD in the bag.